Patagonia makes the Centered Tights with a remarkable synthetic fabric that will keep up with your active endeavors throughout the whole day, not just your workout. 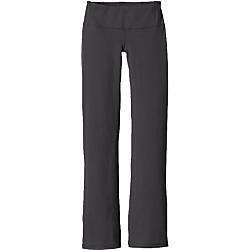 They offer superior shape retention and recovery properties while remaining soft, supple and breathable. 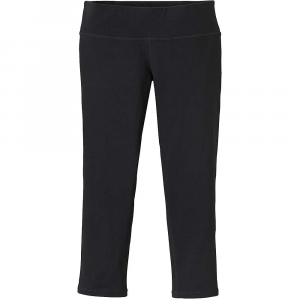 The wide, comfortable waistband supports and contains a hidden key pocket. 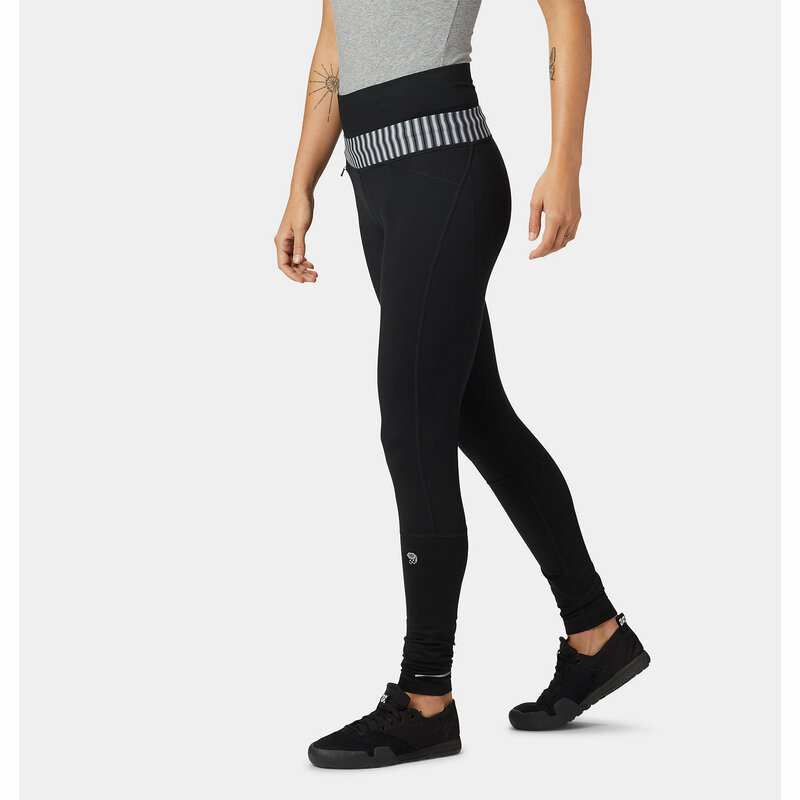 From the yoga mat to the wooded trail, Patagonia Centered women's tights wick moisture and dry quickly to keep you moving and feeling good from you workout to a trip into town. 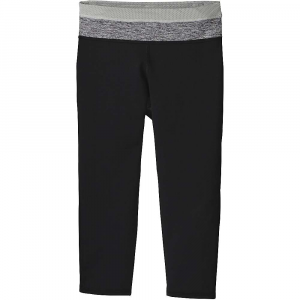 For yoga, running, climbing or under skirts and dresses, these tights are one of our most versatile bottoms. A soft, high-performance stretchy and breathable recycled polyester/spandex knit fabric provides a compression fit, remains supportive and retains recovery all day long. They feature both miDori(TM) bioSoft (a plant seed-based multi-purpose fabric softener) to increase wicking speeds and ensure long-term softness and Polygiene(R) permanent odor control. And they're Fair Trade Certified(TM) sewn, which means the people who made it earned a premium for their labor.